When Elation Professional showed the new RAYZOR 760™ LED luminaire with patent-pending SparkLED™ technology at trade shows in Europe and North America last fall the response from LDs on both sides of the Atlantic was overwhelmingly positive. Elation is now pleased to announce that the compact wash light - the first to feature Elation’s innovative SparkLED™ LED pixel effect system - is available from February in the US and Mexico and from March in Europe. 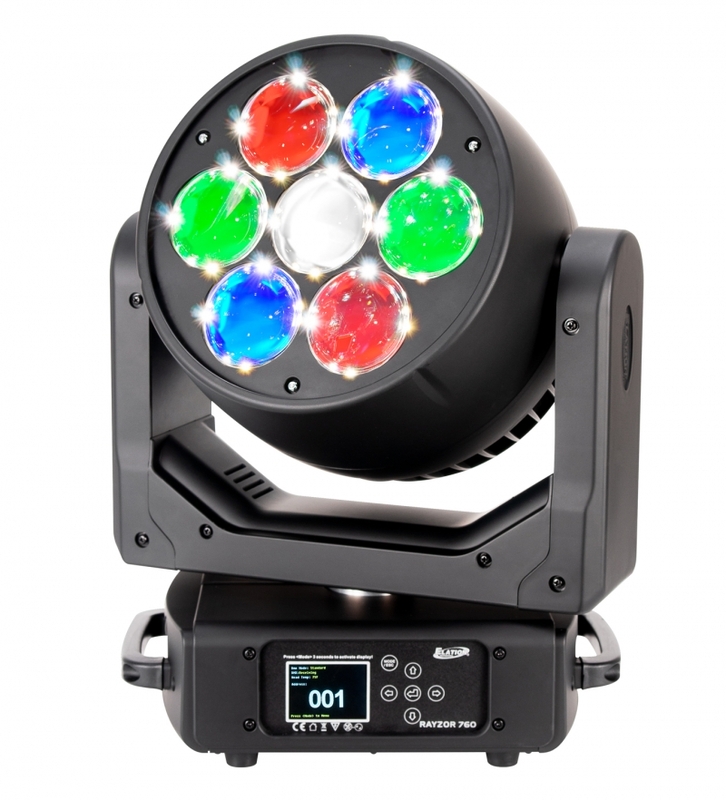 Driven by seven, independently controlled, 60W RGBW LEDs with a wide 5 to 77 degree zoom, the RAYZOR 760 can produce an intense and well-defined mid-air beam of over 8000 lumens that stands out on any stage and then spread exceptionally wide for even wash coverage. 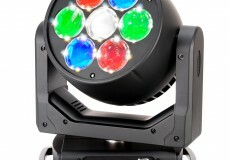 The fixture’s seven oversized front lenses create a large surface that is enhanced by SparkLED™ technology, 28x 2W white LEDs strategically placed inside the lenses themselves to create a unique additional layer of effect. The dedicated high-brightness pixels give lighting designers all new possibilities to create layers of effect through elegant lens illumination and eye-candy twinkle effects. The new effect concept is unique to the RAYZOR 760 and allows designers access to a fresh, fun and innovative way of creating interest and depth on stage. SparkLEDs are controllable via the lighting console or driven by a multitude of internal FX patterns. In addition to its powerful wash and enhanced effects, this all-new visual effect offers precise continuous pan & tilt rotation, allowing variable speed from slow to extremely fast movement effects. Combining its powerful output with SparkLED while utilizing the 360° movement opens up for a multitude of design possibilities from mid-air beams or wide stage washes to more subtle effects for mood generation, both off and on camera. Housing professional control and connection features, the RAYZOR 760 not only takes stage, production and club designs to a new cutting edge, it does it discreetly as it weighs in at only 24.3 lbs. (11kg) and measures a tidy (LxWxH) 13.5 x 10.3 x 16.33 in (343 x 264 x 415mm).